I have become increasingly interested in Windy Nook, a place I pass through a lot between Low Fell where I belong and High Heworth where I now live. I have long been aware of the Nature Reserve, the "Fortress" sitting atop the landscaped slag heap and the "church" born out of a pease pudding factory born out of the Windy Nook Cooperative Society's High Heworth branch, born out of The Wylam family's home in the monstrous Farm House of High Heworth Farm. Let's start there with my take on Windy Nook's history. 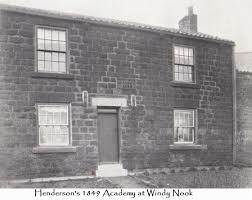 I bought a book by John Oxberry, written in 1924, describing the first 50 years of Windy Nook Co-op and, not for the first time, I was well impressed with the Quarrymen, the ordinary working men of Windy Nook who laboured in their own spare time to provide the village with a water source by feeding water from the Greenbourne to a pant built opposite the church gates. 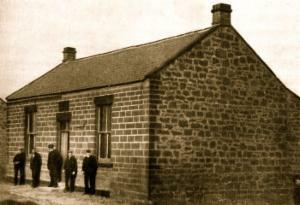 Whitehills Christian Fellowship which was originally the farmhouse of the prominent Wylam family on the 160 acres High Heworth Farm. They lived and farmed here from 1812 to 1880. They also owned Leam Lane Farm. 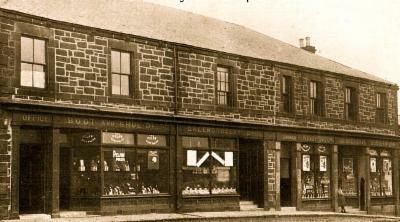 The current owner of the building Bobby Faldon bought it from the Co-op and ran a pease pudding factory until his retirement. The Primitive Methodists chapel on Albion Street came next, opened in 1864. Click the PM link above to read more by expert Richard Jennings and see a pic of that chapel. In the late1820's Henderson's Academy made its appearance but the appearance of this particular building was, per the carving above the door, in 1849. 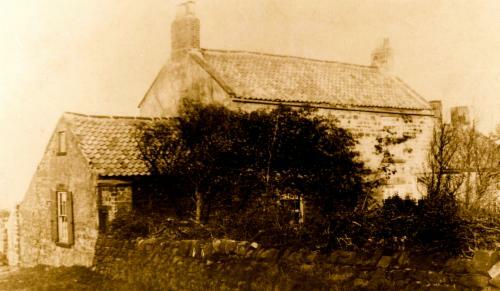 There was also a school run in two cottages in the Stead by the vicar of Heworth. 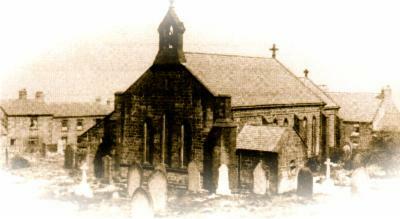 This was followed 6 years later in 1842 by a formal church school at the top of Coldwell Lane. And now to the pubs...yes, please. Six of them there were but not all at the same time. 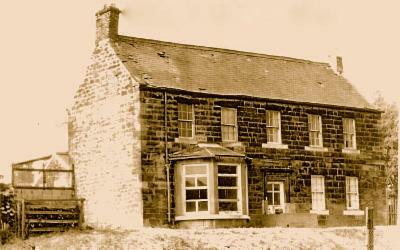 The Hare and Hounds (once the Horse and Hounds) behind where Sutherland's (once Windy Nook Club) is. The Black House, the building that morphed into Tesco's, the Hope and Anchor which was across Coldwell Lane from the Black House, next down from Billy the barber's place. Later came The Bay Horse and the Fiddler's Three (once Ravensworth Arms but mainly referred to as Finnigan's). There was also the Duke of Cumberland in the vicinity but it is thought that it was in High Heworth beyond the eastern border of Windy Nook. "This morning, the Dragon public-house, at Windy Nook, near Gateshead, occupied by Mr. T. Dixon, was entirely burnt down...."
"Robt. Elliott of Windy Nook will fly his pigeon against any man's of the same place, for £5 or £10 a side. A match can be made to-morrow night, (Monday) at Mr Thos. Dixon's, Black House, Windy Nook." So Thomas Dixon had it thro at least 13 years and 3 different names. After 1857 it didn't change its name from Black House for 156 years, that is until 2013 when it still sold, on an off-licence basis, beers, wines and spirits but added lots more goods, under the name of supermarket giant Tesco's. Now let's turn to something perhaps unique to Windy Nook/High Heworth. Separated only by Whitehill Drive is a nature reserve and a landscaped hill, both environmental gems emerging from bleak industrial blemishes. (i) The Windy Nook Nature Reserve and Park, a great dog walking, bird watching, outdoor gym area created over the big deep hole left behind after Mr Kell was done with his quarrying operations. the 2,500 tons of dressed stone that once held up the former Scotswood Bridge. That's no criticism of the artist Richard Cole to whom the stone was made available nor do I concur with a view that it is a bit clumsy to call this "The Windy Nook" when it is physically atop a hill, comprising the waste of High Heworth colliery and beyond the long time boundary of Windy Nook, albeit by just a smigeon. Indeed, in my view the name "Windy Nook" is perfect for this land art and, "Greenbourne Village", for the residential area. Let's almost finish with this back to front house, which is not in the huff with us but used to face the road as is customary and somebody went and changed the alignment of Albion Street.It had much earlier, in about 1812, been named that. Previously it was just a continuation of Carr Hill Lane. We know this because the local history expert Joan Hewitt says so. But she also says the name Albion was chosen because "Walter Scott's novels of Albion were popular at that time". Oh Joan! Walter Scott had a collection of poems called the Albion edition but much later. About the time of the naming of the road there was a weird book of poems by William Blake with Albion in the title but that's highly unlikely as a reason. Albion was the name given to pre Roman Britain and is related to the White Cliffs. Truth is, it's just a nice name used for a football club as well as streets and pubs all over Britain.